Since last week was a flat-ish ride, it was time for a hill today. And Turnbull Canyon seemed like just the thing. We started out from Victory Park in Pasadena and headed south. We hadn’t gone more than a couple miles when Ben got a flat. Of course, my first thought was to take a picture for the Flat Tire Gallery. While Ben was fixing his flat, Philippe showed up. He had decided to ride with us today, and was just running a few minutes late. So after the tire was fixed, we headed out again. Philippe is a strong rider, and I believe it was his presence that led to today’s ride being much faster than usual. Which was just fine. 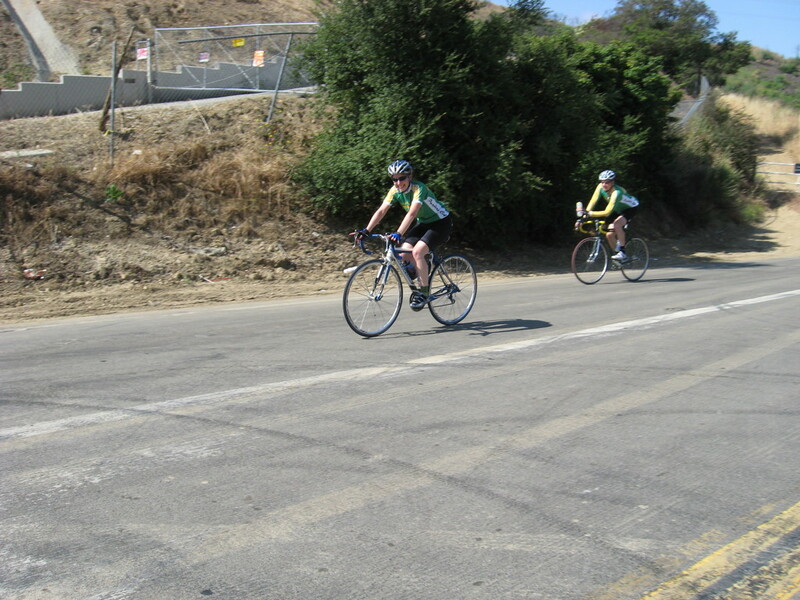 When we got to Turnbull Canyon, Philippe and Ben took off up the hill. I didn’t want to try to race them, so I stayed with Susan and Jon. But when we got near the top, I saw that we were catching up to Ben. So I had to see if I could catch him before getting to the top. As it turned out, I was just able to catch up by the top, but he saw me coming and sprinted the last 50 meters (Gotta speak metric, since Ben’s from Belgium.) or so, just enough that I couldn’t quite beat him to the top. Still, it was a fun little exercise. We came down the other side and then headed back home by way of La Puente and Baldwin Park. Our snack stop was at Planet Cookies in Monrovia. From there, we headed straight home, taking the relatively flat route through Arcadia. 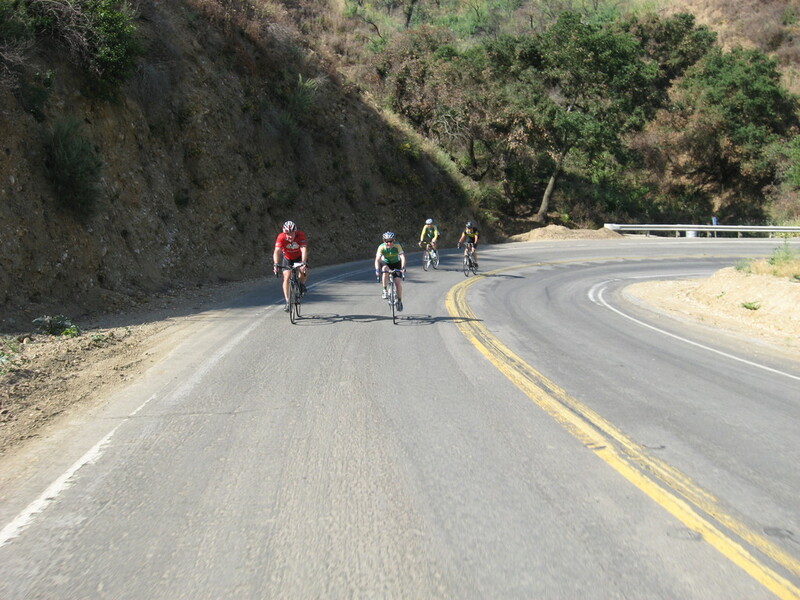 Our average for the ride was nearly 17mph, which is pretty fast for our group, especially since we had the climb up Turnbull Canyon today.